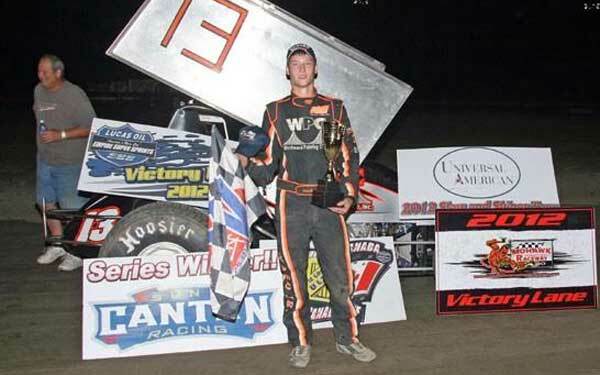 Was Kevin Ward Jr’s death purely accidental? 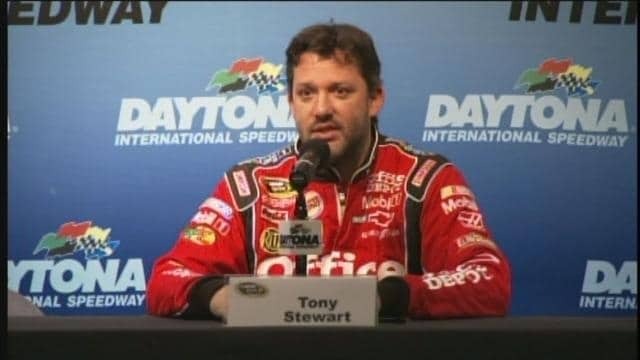 To date no criminal charges have been laid, but questions are being asked as to whether NASCAR champion, Tony Stewart, purposefully fatally ran over feller NASCAR driver, Kevin Ward Jr after the 20 year old got out of his stalled race car and started walking along the trackway when he was suddenly struck by Stewart. 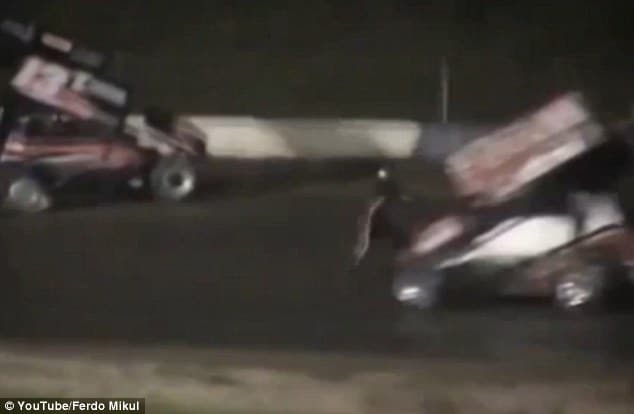 The incident came to happen last night following the incident Saturday night’s Lucas Oil Empire Super Spring at upstate NY‘s Canandaigua Motorsports Park. Upon being hit, race track safety crews immediately came to the fallen driver’s side where he was rushed to a nearby medical center, only to die from his injuries a short time later. At the time of impact, Ward’s body would be carried down the track a further 50 feet. Yet what may have on the surface have appeared to have been merely an unfortunate accident questions have since been raised in lieu of friction exhibited during the race in the preceding lap between the two drivers. On the second turn of lap 13 of the 25 lap race, the right rear tire of Stewart’s car (14) strikes the left front tire of Ward’s car (13). Personal video then shows Ward’s car hitting the wall, spinning 2 and half times before coming to a rest. 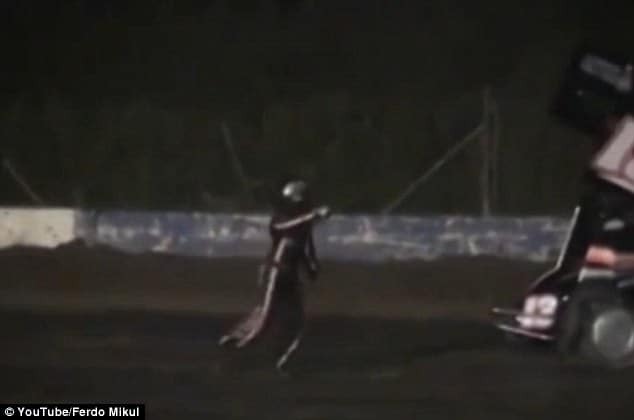 Once the car has settled, the video shows the driver unbuckling his safety harness, climbing out of the car and walking into the middle of the dirt track, pointing his finger and waving as other cars raced by — within a few feet, presumably with a score to settle with Tony Stewart who had just momentarily sent him crashing. As Stewart’s car approached turn 2, Ward steps closer at the same moment Stewart’s car appears to slide into him on the dirt track. Yet a closer examination of the video reveals Tony Stewart revving up his engine, as if to swerve into the stranded driver, perhaps as a joke, perhaps at Stewart’s own frustration with the younger driver for having chosen to walk onto the track instead of exiting by the side railing or perhaps by his own frustration in lieu of the previous lap where the two NASCAR riders had come head to head? It’s at this moment the viewer comes to see what appears the Stewart incredulously swerving the back end of his vehicle into Ward. Upon impact, Ward’s body is dragged and then appears to be thrown into the air, before coming to rest more than 50 feet from the point of initial contact. Reflects slate: It’s impossible to know, from this clip at least, what Stewart saw and what his intent was in the split second between seeing Ward on the track and making contact with him. Why did Stewart swerve at the last second? 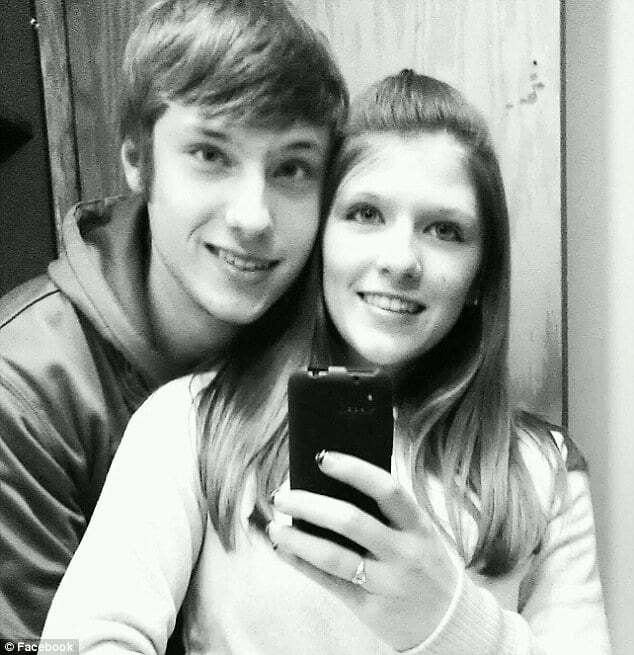 It almost seems as if he was speeding up, not slowing down—could that be true? Following the accident, the race track was shut down for the night and Stewart’s car was impounded as the Ontario County Sheriff’s Office began an investigation. Motorsport.com Editor-in-Chief Steven Cole Smith would also note that sprint cars have poor visibility and Ward was wearing an all-black firesuit and helmet, which may have made it difficult for Tony Stewart to have necessarily seen Ward. Smith also points out that sprint car drivers use the throttle as much as the steering wheel to maneuver their vehicles, so any acceleration before the impact could be the reflex of a seasoned driver, not the malice of an irate one. USA Today would report that local authorities have now launched an investigation with the race track crash currently not considered to be a criminal matter. Tony Stewart had been scheduled to start Sunday’s Cheez-It 355 Watkins Glen International NASCAR race but has since opted to not participate. In the end one is left to wonder was it an instance of Ward thinking he could take on Stewart on the track? Was this part of the combative on track mentality that went out of control with both Ward believing he could take Stewart to task for bumping him (purposefully or not?) and was this Stewart trying to teach Ward a lesson in humility and road warrior tactics when he at the last minute chose to swerve his back end into Ward? Why did he choose to swerve into Ward at the last minute….? Had there been other things going on between these two off track? You’ve got a lot of things to learn about dirt racing. 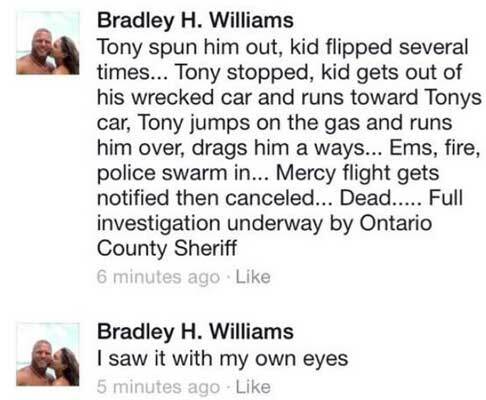 Is it just me or why is Tony Stewart the bad guy here and not the victim? The entire mess is caught on enough cameras and the cops don’t see intent or foul play. 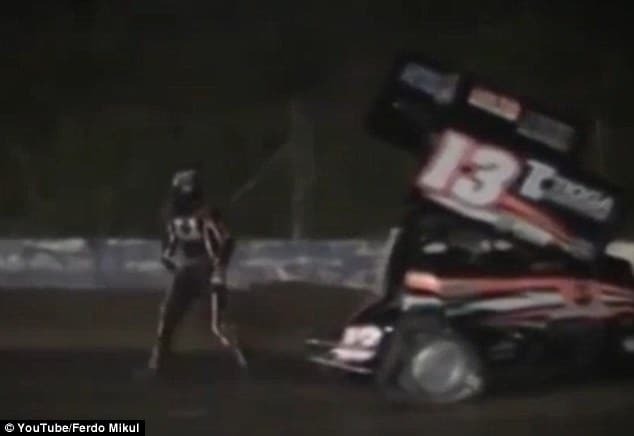 Even if they were only doing 35mph on average at the point of impact, it’s a race track, at night, fairly lit up, but still the driver is in BLACK and instead of getting off the track or staying in his car gets out dodging cars to start pointing at Stewart on a turn. I hate to sound cold, but he kind of had it coming and to have the press and the family blaming Stewart seems like a sick joke. Look I don’t follow NASCAR or the drivers so I don’t care either way, but I’m smart enough to know not to go play in traffic, especially on a race track at night of all things in the middle of a race. First of all, getting out of the car is NOTHING new. Look at Tony Stewart’s record with getting out of the car and even throwing the helmet. Did Ward deserve to die? NO!!!! Everyone gets hot headed, including Stewart, who should of been driving at a reduced speed because of a CAUTION on the track. His age and experience driving should of made this so called accident “avoidable” to say the least. Stewart also caused a large accident 15+ cars, at the same track, last year , which also involved Ward and another young girl driver was almost paralyzed. Whats crazy is after reading this blog?! 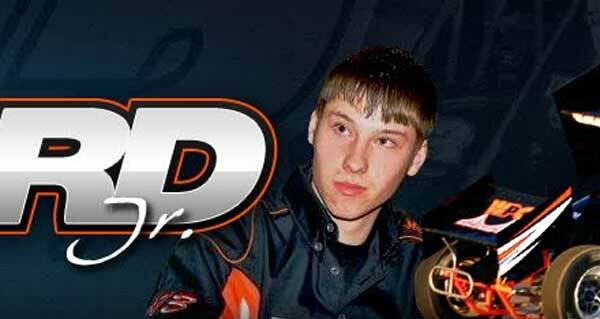 That you said Tony ran over Fellow Nascar driver.. Well my good sir, Kevin Ward Jr dose not race in NASCAR. He is not A NASCAR driver. So What I don’t understand why would you write about something that you have no idea about any of it. Stupid, stupid kid. RIP This is just too awful. This doesn’t make sense. I know drivers get out of their cars, but why would he be in traffic on the track? Mr Ward’s anger and his own decisions of how to deal with it cost him his life. Horrible yet very preventable tragedy. You just do not get out of your car wearing a dark jumpsuit on a dimly lit track and proceed to stand in the path of oncoming cars. You just don’t. It’s sad for everyone involved.